An important topic in Semantic Web research is to learn ontolo- gies from text. Here, assessing the degree of semantic relatedness between words is an important task. However, many existing relatedness measures only encode information contained in the underlying corpus and thus do not directly model human intuition. 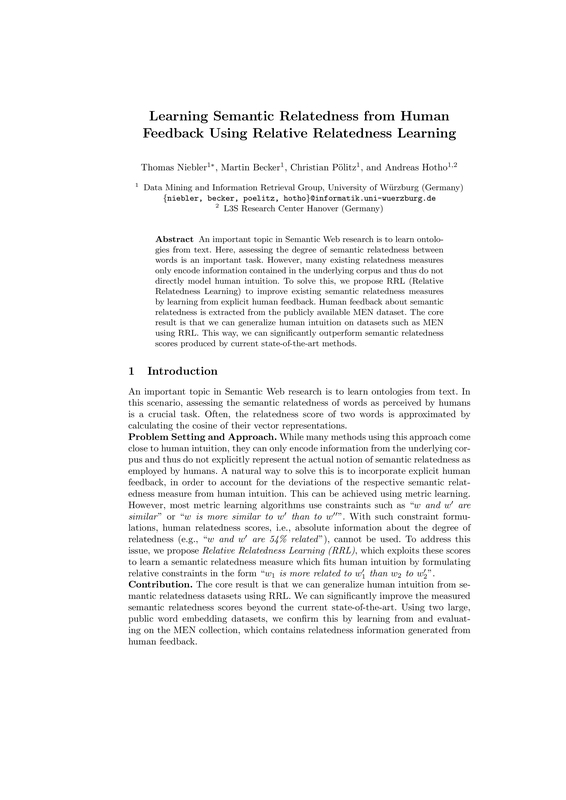 To solve this, we propose RRL (Relative Relatedness Learning) to improve existing semantic relatedness measures by learning from explicit human feedback. Human feedback about semantic relatedness is extracted from the publicly available MEN dataset. The core result is that we can generalize human intuition on datasets such as MEN using RRL. 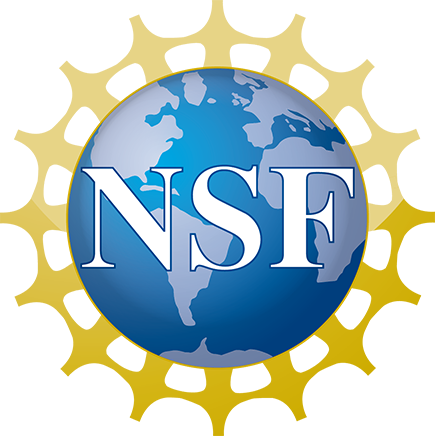 This way, we can significantly outperform semantic relatedness scores produced by current state-of-the-art methods.